Pine Grove Behavioral Health Blog: What is Pine Grove and the Days of Hope? What is Pine Grove and the Days of Hope? Pine Grove is one of the country's most effective "lost and found" departments. People can lose themselves, their souls and in some cases have risked losing everyone and everything in their lives. Pine Grove works to link “the lost” together in a healing, therapeutic environment, so that, together, people can learn how to get back what they’ve lost. Healing can finally take place because working in groups increases an addict’s ability to see the “lost” in themselves once they have also seen the lost in others. The combination of group therapy and professional assistance guides the once lost, to the now found. We call that treatment. The Alumni Department is an association of “found people” that creates an ongoing community for the graduates of our programs. But that’s not all... we take alumni and put them together with current patients to create an atmosphere of healing that we call the “Days of Hope.” Alumni talk to the patients about their recovered life and share the stories that brought them through the recovery process. The patients benefit from alumni testimonies and the alumni benefit from helping others. The Pine Grove staff benefit from seeing that the work they are doing really changes lives. The Alumni Department staff and the alumni work together to make the world a better place for all of us to live. We call that recovery. 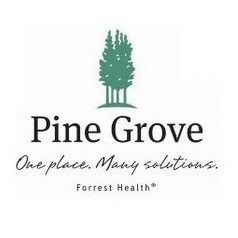 Pine Grove will soon begin to invite Alumni to return to their program and back to campus in an effort to provide the best care possible at no additional cost. The recheck program called Days of Hope will enable Alumni to reconnect with staff and energize themselves and the current patients to insure the maximum benefit from treatment.